Time to get some serious style in your lovely locks. 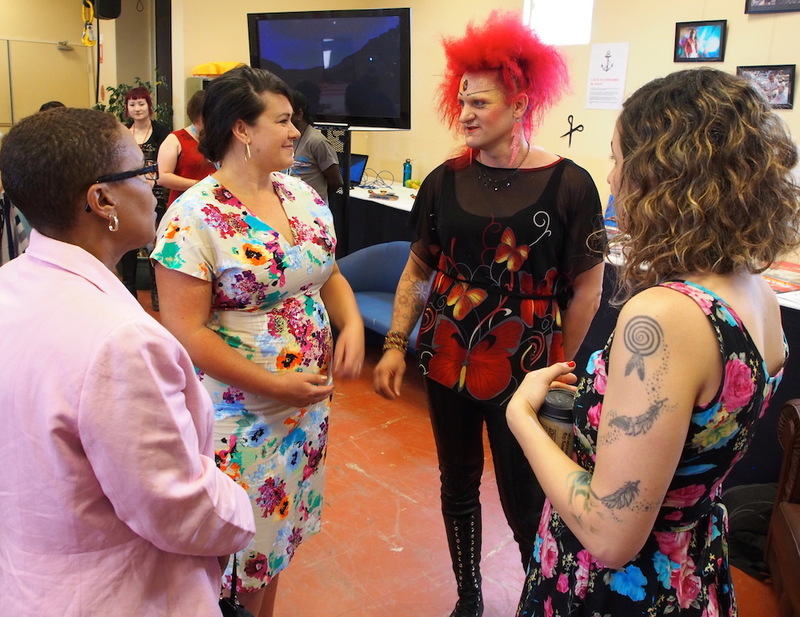 In October 2014 I collaborated with Starlady and Mel Balkan to bring some glamour to the Regional Arts Australia Summit Arts & Edges in Kalgoorlie. The Summit is one of Australia’s biggest professional arts and cultural events, held in a different regional location every two years. 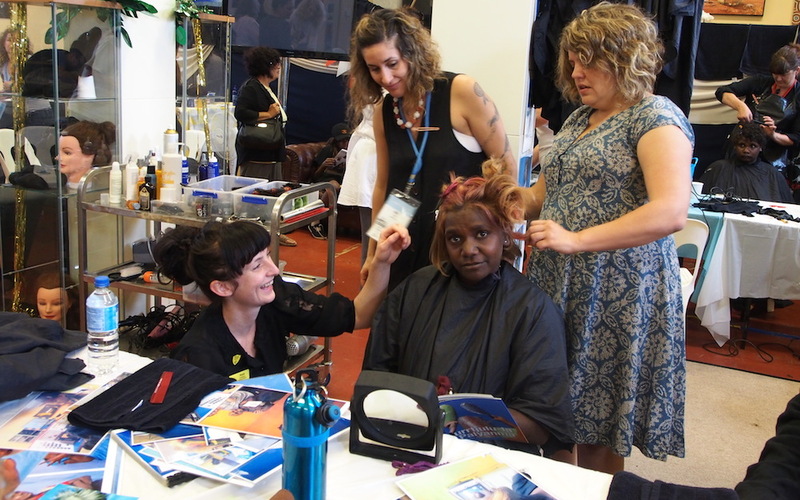 We were delighted to bring some social change hairdressing flair to the event. Starlady, queen of the desert, is a radical hairdresser who works across remote Australia, using hairdressing to explore glamour, health and wellbeing. Mel Balkan is an interdisciplinary artist weaving a unique, hairpin line through the anthropological tangle of ‘what is art’ using hair. Star, Mel and myself ran an experimental salon space in the Summit, in which people could style each others’ hair whilst talking up the big issues. And did they ever! The salon become a heady mix of intercultural collaboration, intergenerational exchange and lots of talk about art, politics, gender, sexuality, culture, remote Australia and plenty of other things besides. We had incredible involvement throughout the event from students from Kalgoorlie-Boulder Community High School, people visiting from the Ngaanyatjarra Lands and a wide range of delegates. We enjoyed the involvement of some visiting VIPs, including the US Consul-General Cynthia Griffin who got a sharp new haircut. The salon project also received involvement and support from Population Health’s Aboriginal Sexual Health Promotions team and Bega Garnbirringu Health Service. 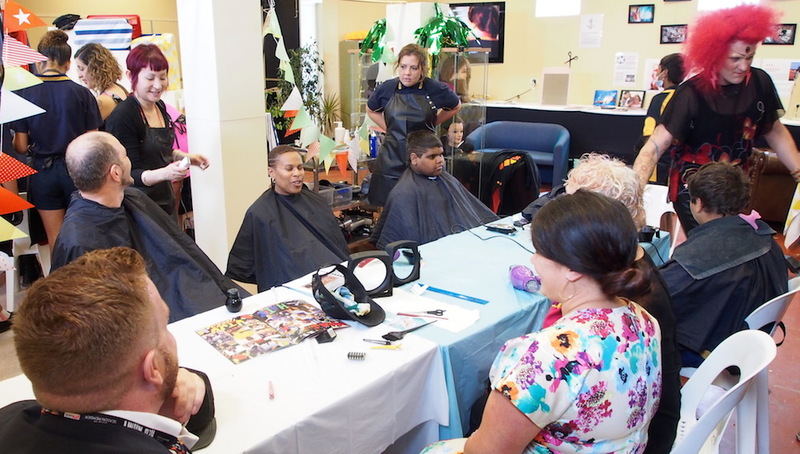 This is live art that examines the roles of salons and barbershops as a place to explore identity, gender, pleasure and inclusion in Australia, informed by the wild style of our desert heart.